Like most other things in life, we take our skin for granted in our 20s. Touch 30, pollution, stress, unhealthy lifestyles, and the sun has played havoc on the skin making it dull and pigmented. 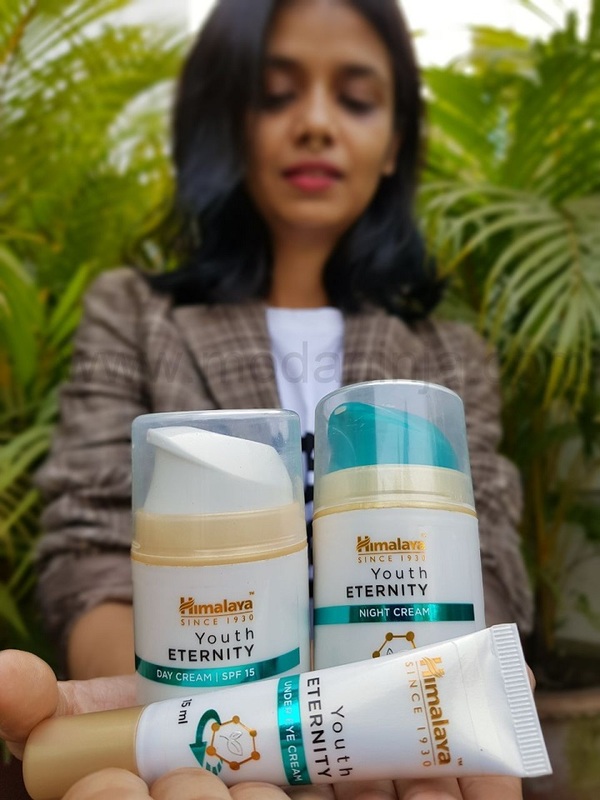 Himalaya recently launched its Youth Eternity Range, where leading dermatologist Dr. Harsha Bijalani spoke about the right time to start skin care regime for youthful looking skin ideally is in your 20 years. 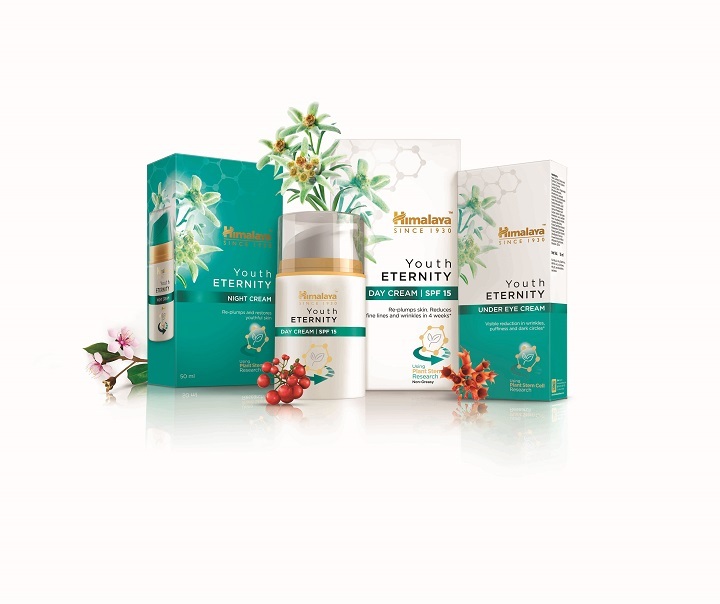 The Himalaya Youth Eternity Range has been formulated from nature’s youth preserving ingredients and have been specially formulated using stem cells from the Edelweiss Plant. The stem cells are combined with herbal active extracts of flowers like Rose Myrtle, Fire Flame Bush, Woodfordia and Cipadessia Baccifera that hydrate and regenerate skin. The Day Cream is light, non-greasy, fast-absorbing and consists of a powerful blend of botanical extracts that reduce fine lines and wrinkles, and re–plump your skin, leaving it looking healthier and younger. 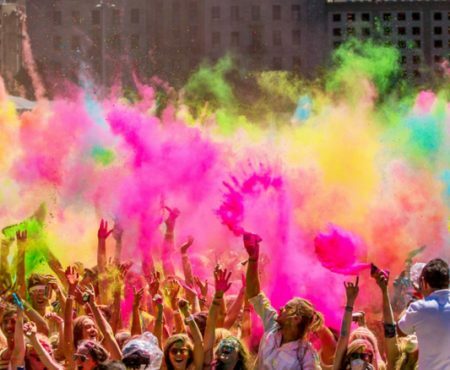 The cream is white in color, really light in texture, non-greasy witha very faint flowery smell. It comes in a pump jar and dispenses the right amount in one pump The cream spreads nicely and easily and gets absorbed fast on the skin too. It comes with SPF and eliminates need to apply extra layer of sunscreen. I have dry skin so I did sometimes feel the need to apply cream after 4-5 hours since I have been using this through December and January. But even though I have dry skin, most day creams get oily in Mumbai summers. So reckon, this cream will be a great option for summer. I have used this cream under makeup and it did not get greasy. 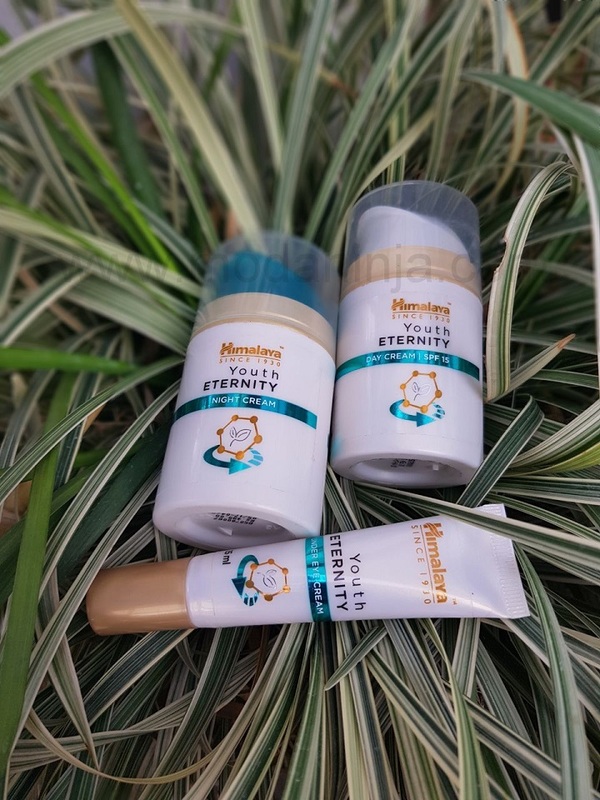 It claims to reduce wrinkles which I cannot really comment as I don’t have any but it has definitely made my skin appear more plump and moisturized. is a special blend of Edelweiss Plant Stem Cells, Woodfordia, Rose Myrtle, Cipadessa and Apple, rich in powerful antioxidants and polyphenols. The Night Cream works overnight to provide intense hydration, reduce fine lines and wrinkles, leaving skin even-toned, healthy and visibly youthful. The difference between Night and Day Cream is the ingredients and the how they work on the skin. The night cream with antioxidants and polyphenols hydrates and repairs the skin while we are sleeping. My skin looks plum and hydrated when I wake up in the morning and would recommend this night. The Under Eye Cream is rich in anti-inflammatory properties and is a blend of ingredients like Edelweiss Plant Stem Cells, Woodfordia, Rose Myrtle, Cipadessa and Amla. The under-eye cream gently nourishes and hydrates the tender skin around your eyes, leaving it remarkably bright, healthy and youthful. To begin with dark circles are my biggest woes, with purple undertones. Though I do not have puffy eyes but I do have fine lines appearing under the eye. I have tried every possible cream and beauty tips, but problem persists. The Himalaya eye cream is light weight and gets easily absorbed in the skin. The eye area feels moisture and plump, however even after a month’s application there is only slight change in the dark circle. Though there is a huge difference in how nourished skin feels. I have been using this eye cream every day and also below my eye makeup and it works like magic. My dark circles are combination of hereditary and crazy lifestyle being late and staring in the computer for hours, so I do not even expect creams do to the trick. But I would say this eye cream is ideal for puffy eyes and to moisturizes and hydrates to reduce fine lines.